Lorene Hancock Whittle age 82, of Hot Springs passed away Tuesday, January 2, 2018 at her home. 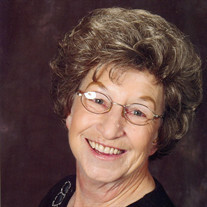 She was born October 1, 1935 to the late Calvin Hancock and Alphia Herrin Hickman. She was preceded in death by a son, Alan Fry; two grandsons, Billy Pettigrew and Adam Wilstead; three brothers, Doyle, Dayton and Harold Hancock. Survivors are three daughters, Donna Pettigrew (Bill), Karen Fry and Brenda Allison; two sisters, Linda Ursery (Buddy) and Faye Chapmond (Charles); one brother, Richard Hancock; six grandchildren, Angela Rodgers (David), Courtney Pettigrew, Andrea Wilstead, Tyreese Robinson, Taylor Allison and Chase Allison; five great-grandchildren, Billy Ortiz, Brandon Pettigrew, Addison Szewczyk, Carter Goodwin and Natalia Young. Services will be at 2:00 PM Friday, January 5th at Oak Bower Church near Bismarck with Bernard Strother officiating. Burial will follow at Oak Bower Cemetery. Visitation will be 6-8 PM Thursday at Ruggles-Wilcox Funeral Home in Arkadelphia.